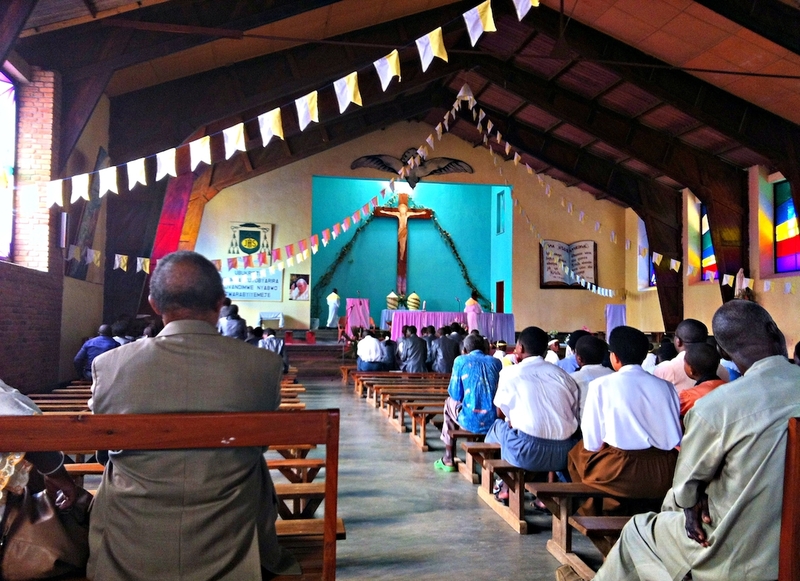 Religion was highly important at the Noel. 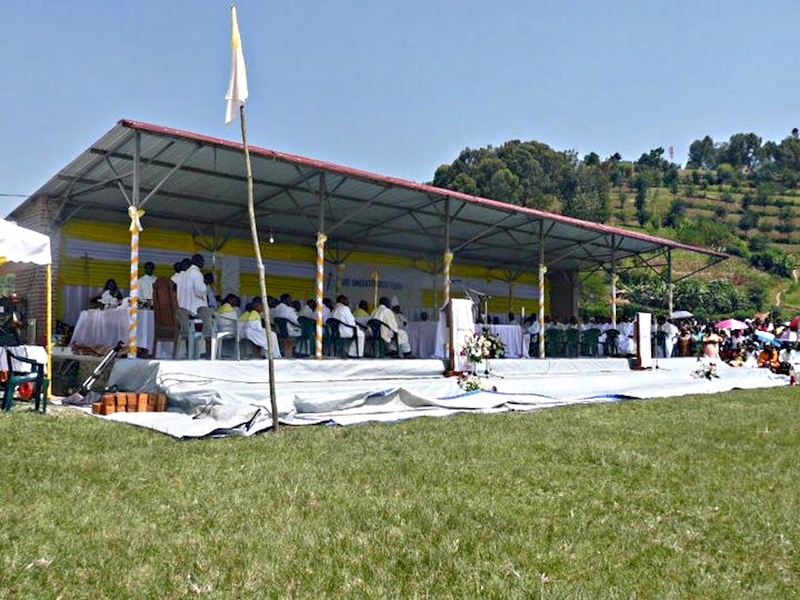 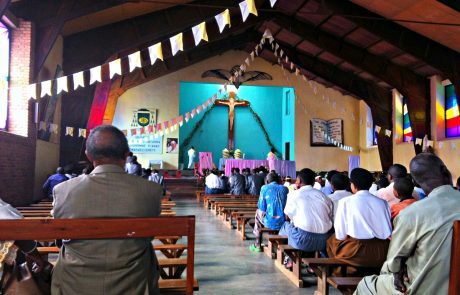 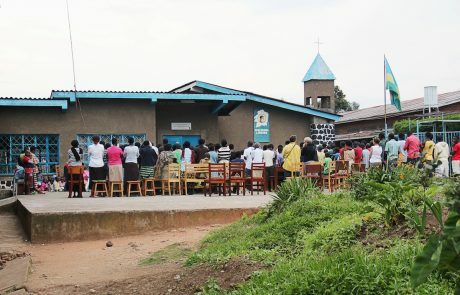 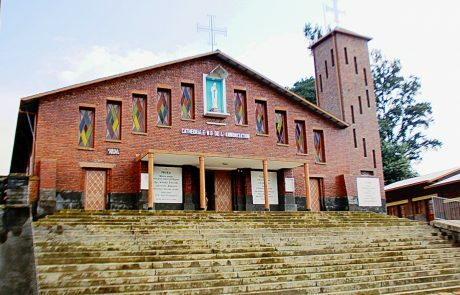 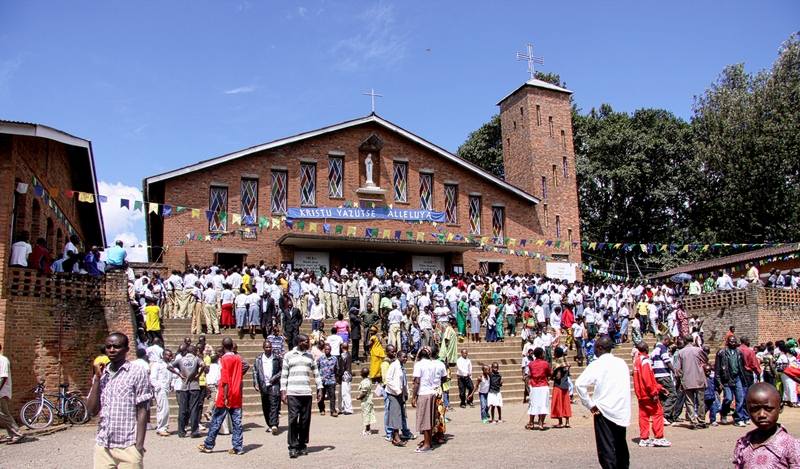 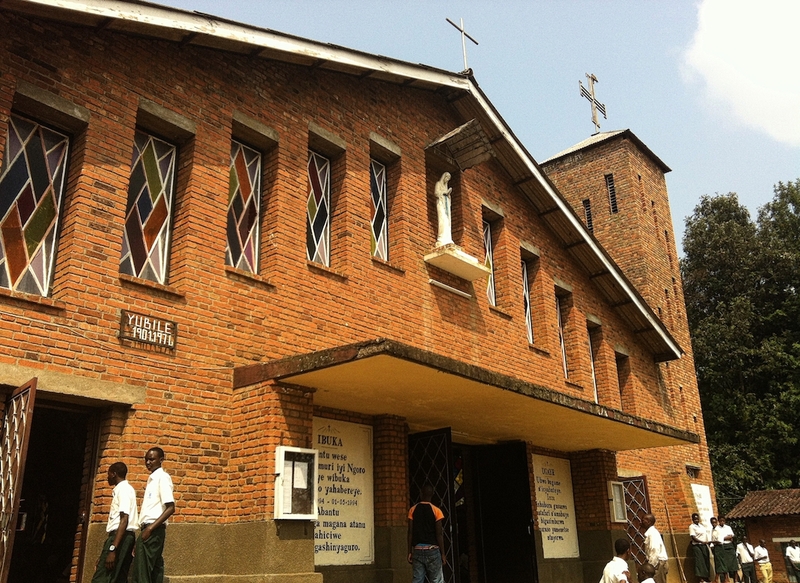 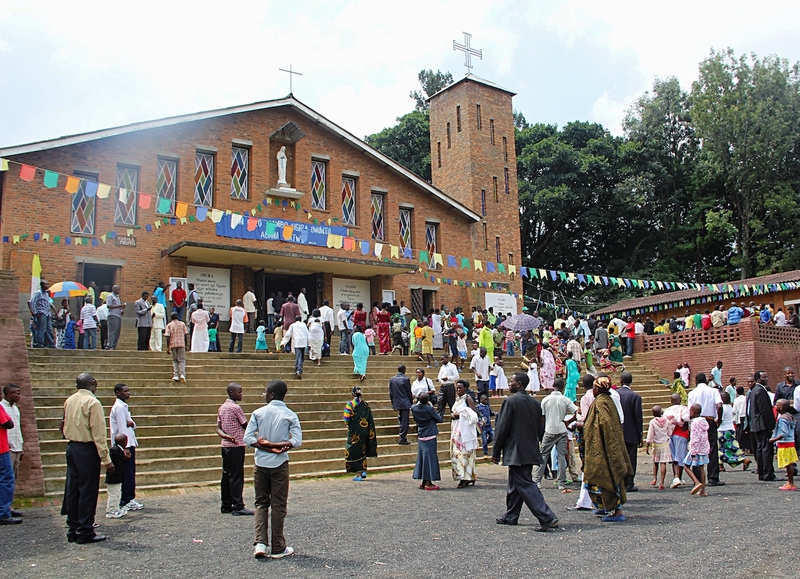 Nyundo Cathedral sits high on a hill overlooking the orphanage and surrounding communities. 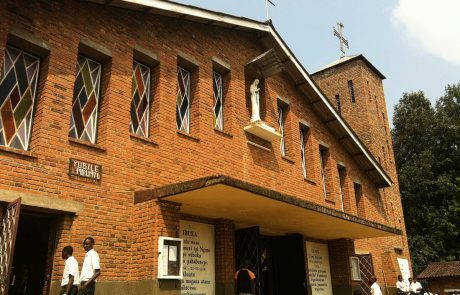 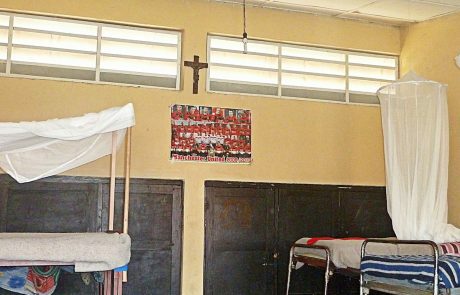 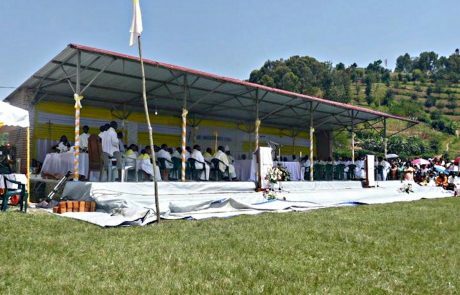 Historically the Nyundo Diocese were closely linked with the Noel through its first Bishop, Aloys Bigirumwami who started the orphanage. 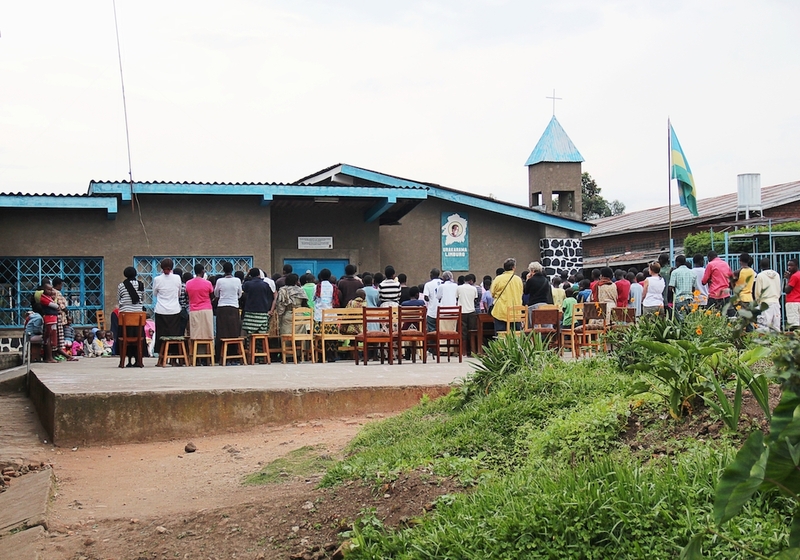 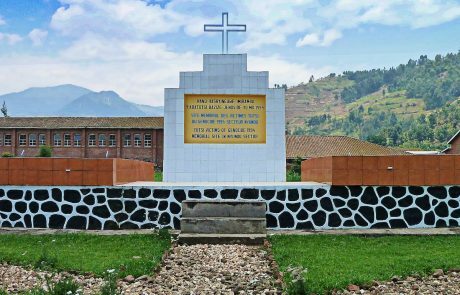 In April 1994 hundreds of Tutsi sought refuge in the cathedral but they were slaughtered by Hutu extremists. 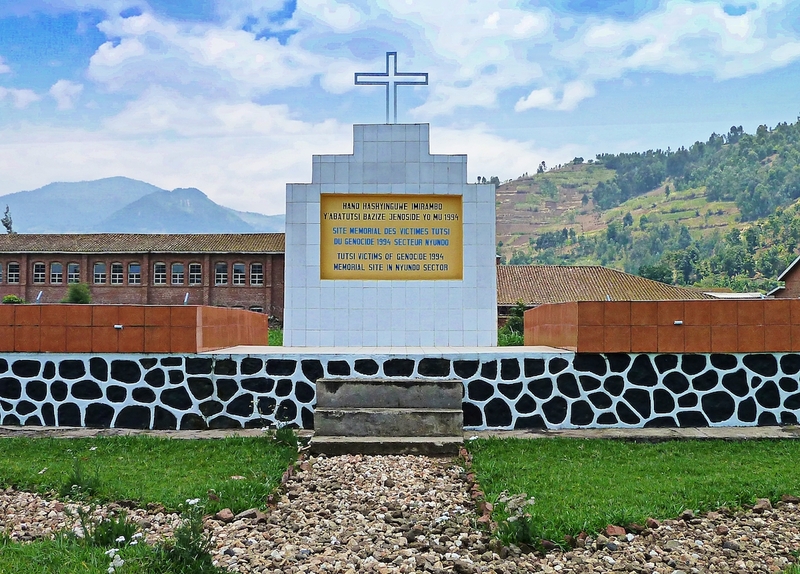 Below the church a genocide memorial holds the remains of 800 bodies, many of them relatives of Noel’s children and staff. 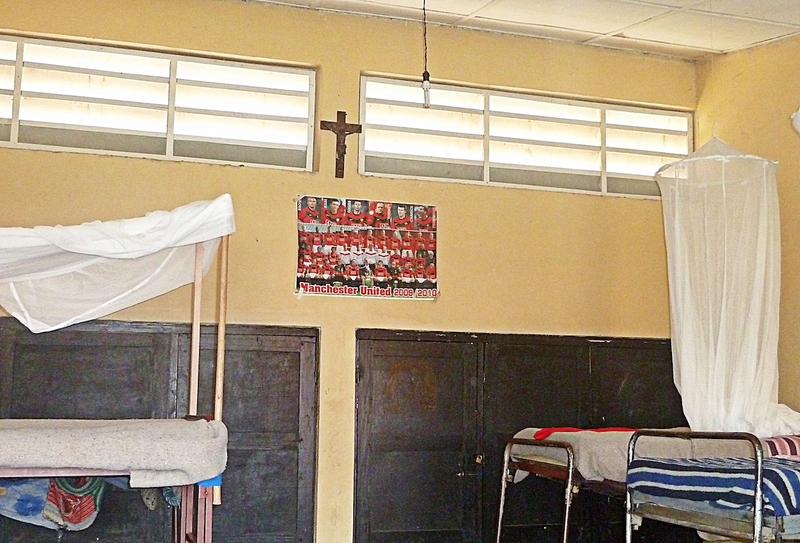 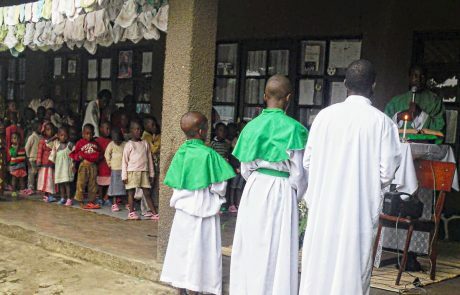 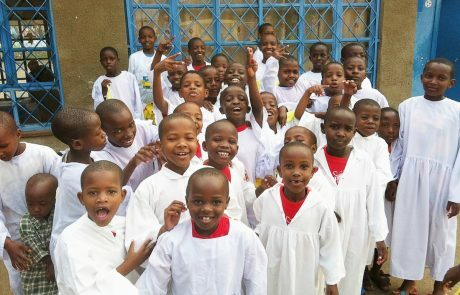 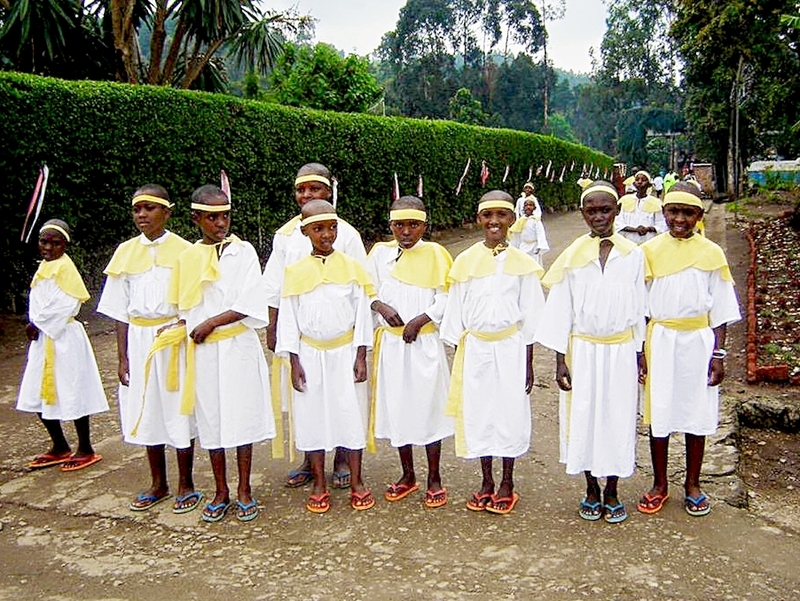 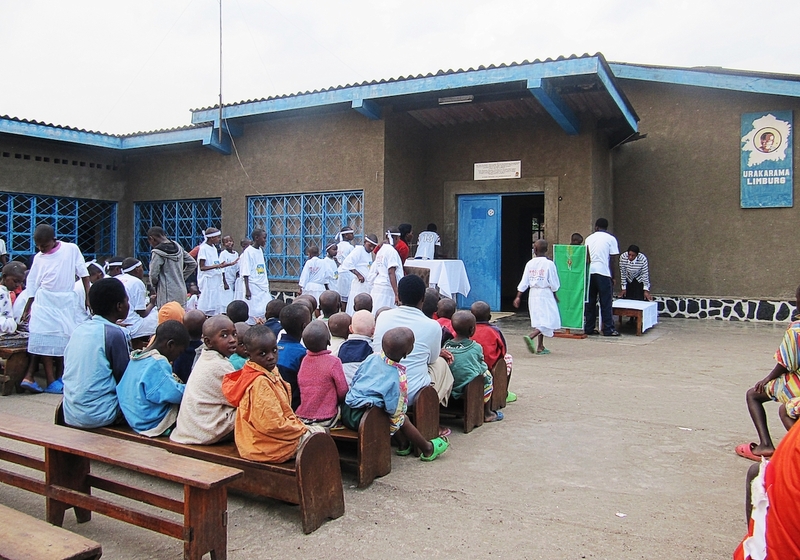 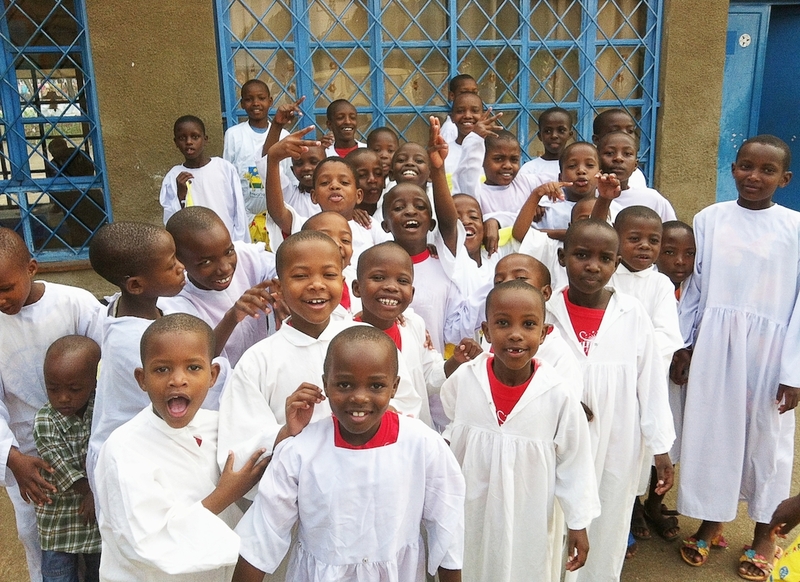 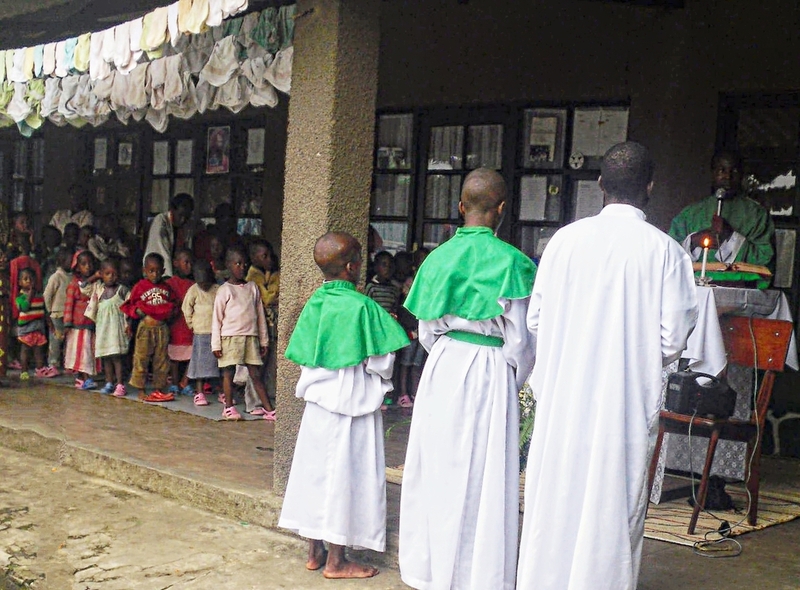 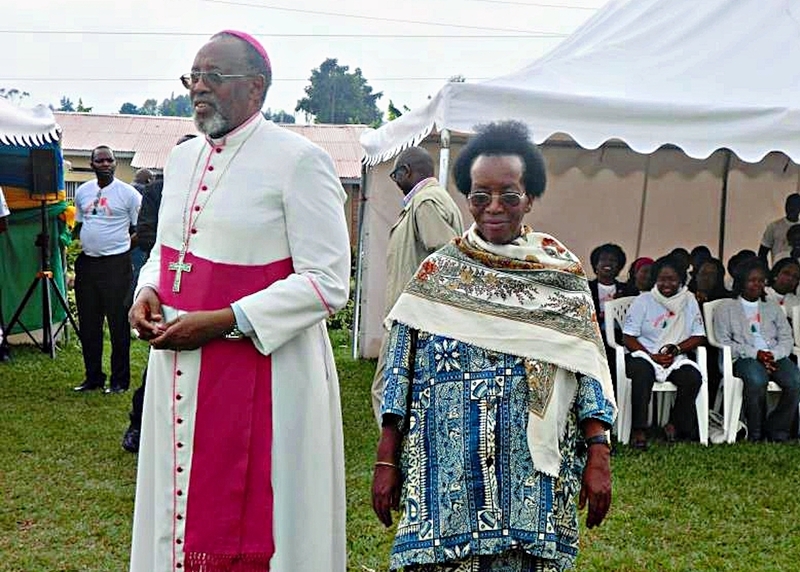 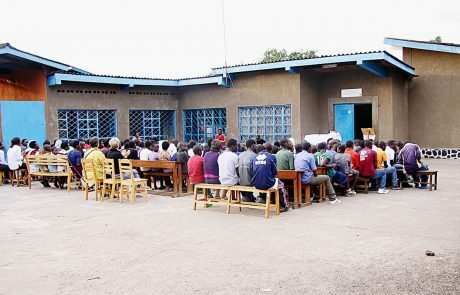 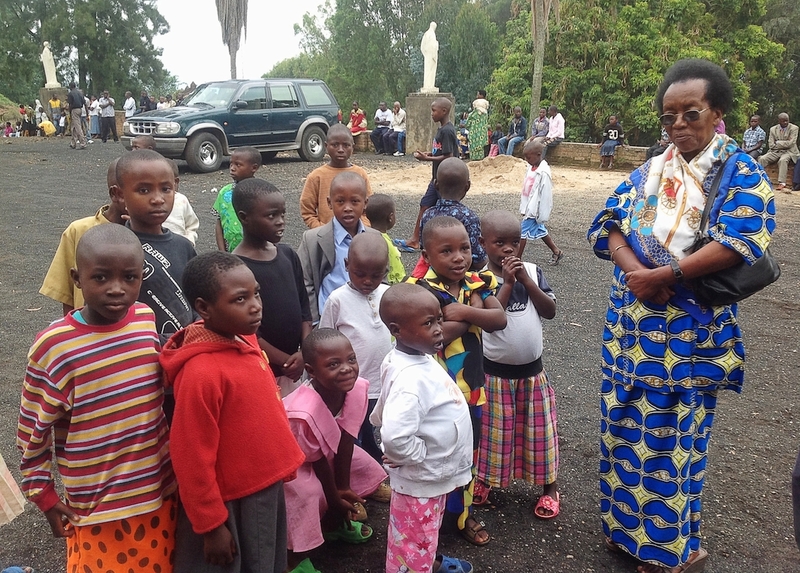 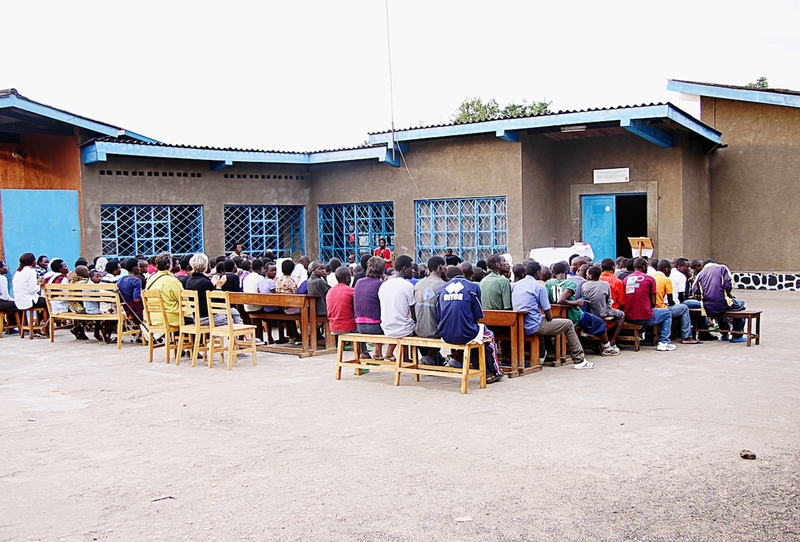 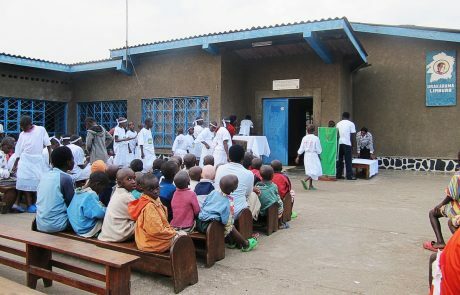 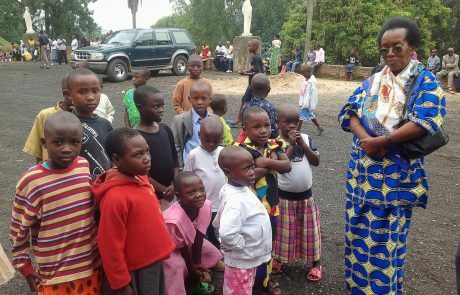 Bishops of Nyundo and clergy of the diocese would often visit the orphanage. Madam was a religious sister and the Noel was under the protection of the Catholic church. 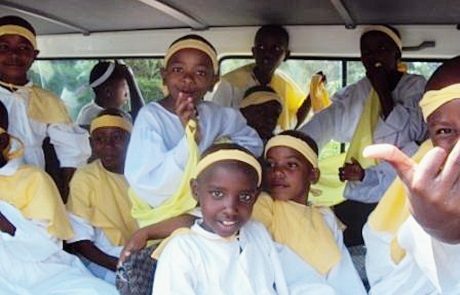 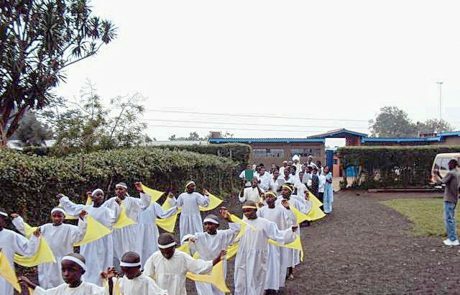 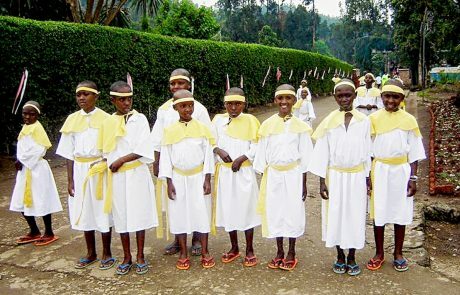 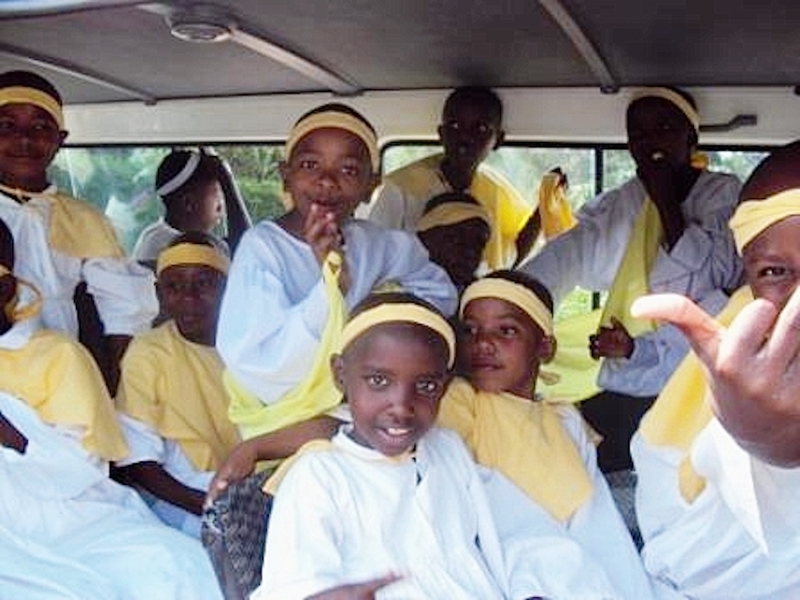 Sometimes services would be held in the orphanage and chosen children would dance at church events and ordinations dressed in white costumes. 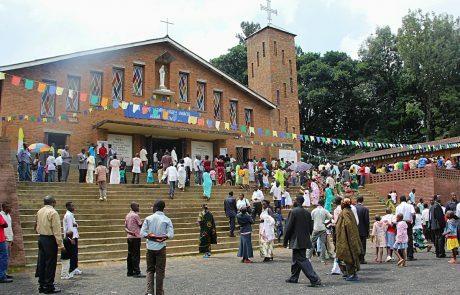 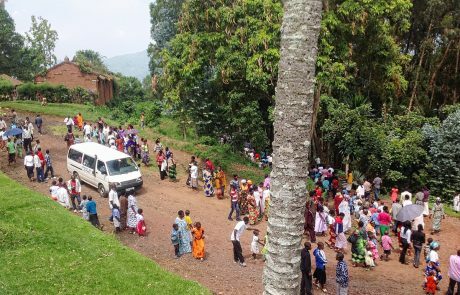 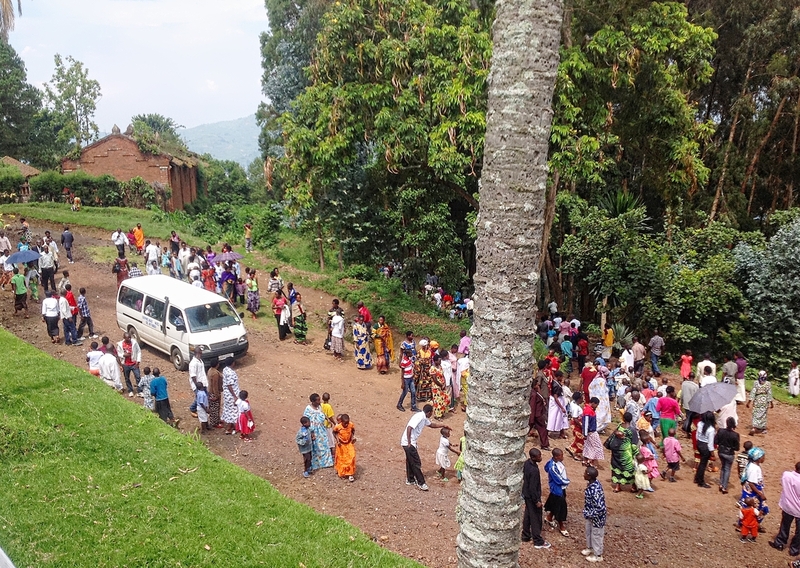 On Sundays many of the children would walk up the hill to the cathedral, joining Madam and the community for services.